Forget stacked washer and dryers, this entire kitchen is one giant column of space-saving convenience. Designed by Massimo Facchinetti, the vertical kitchen is outfitted with all the bells and whistles of a regular cookery. Like all great space-saving designs, the kitchen expands and transforms. 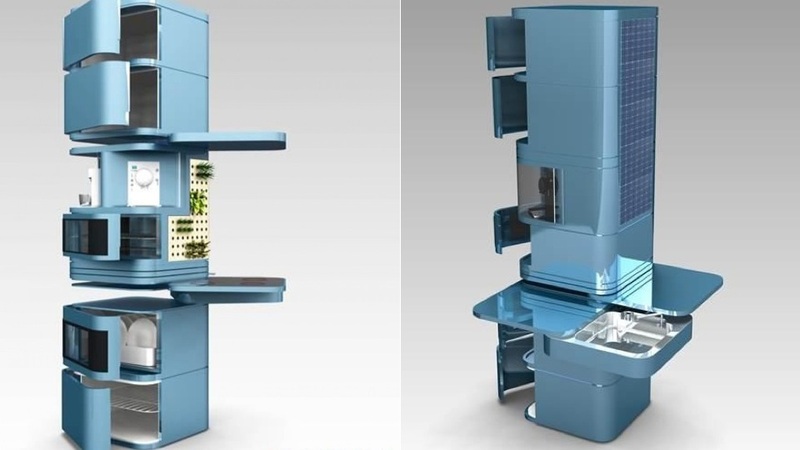 The vertical kitchen is expected to hit the market in about a year. Pricing is a guessing game, but as Gizmodo says, it will probably be expensive.